By the time Ryan Allison was 21, he had a few goals for his life. He wanted to be a chef, get married and have children. But he also faced some challenges. "I've never lived on my own," he told a parole-hearing officer at the Utah State Prison. "I've never had a job in my life, I don't know how to read directions." That's because for the previous 10 1/2 years of his life, Allison had spent only eight months outside of locked-down institutions. And 18 months after sharing his modest ambitions, Allison was dead. After at least 10 attempts to kill himself while serving five years in Draper prison for threatening a judge, the 22-year-old Allison took his own life by diving head-first from a sink or toilet fixture in a suicide-watch cell in the prison's mental-health unit. Allison's life and death, says Disability Law Center legal director Aaron Kinikini, "is pretty typical of what happens when all the moving parts of the criminal justice system do what they do when somebody with mental illness is thrown into it; it's a complete cluster from start to finish." Allison spent over half of his first three years in prison in solitary confinement. Solitary was the only safe place for him, according to the prison, but it also functioned as punishment for his infractions of prison rules. The DLC, which represented Allison in his last years, calculated in a report that 71 percent of Allison's "misbehavior was punished with solitary confinement," and two-thirds of the incidents for which he was punished "were related to his mental illness." The problem is, Kinikini says, that punishment only works for inmates who understand the carrot-and-stick philosophy. "Compliance with prison rules is going to be problematic when you don't have much meaningful control over your actions," he says. And because mental-health programming is an inconsistent "patchwork," Kinikini says, county jails and the state prison become the de facto warehouses for the mentally ill in Utah and the rest of the nation. Which is why Allison—who was featured with three other mentally ill inmates kept in solitary in a 2012 City Weekly cover story—is far from rare in Utah's jails and prison. "There's more Ryan Allisons in the corrections system than we would care to acknowledge," Kinikini says. The DLC found from Allison's prison records that it was very rare for him to see a psychiatrist—the prison has only one. As for the mental-health workers who "visited" him—speaking through the slot of his cell door—Kinikini says, "If you ask inmates, they would say, 'They give us pills. They're not therapists, they just write scrips.' 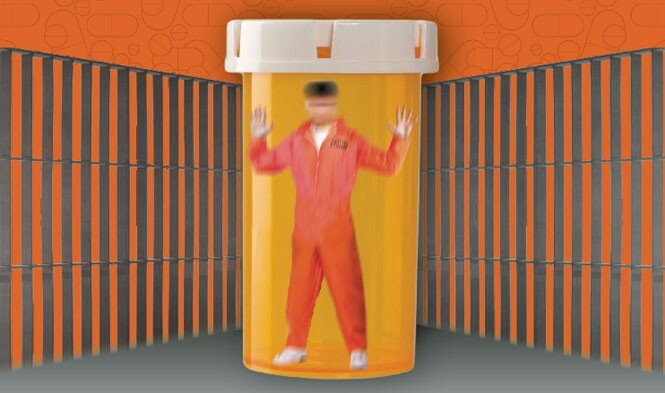 "
Indeed, between 2006 and 2013 (the most recent year of complete data) a total of 14,942 anti-psychotic medications were prescribed within Utah's two prisons, an average of almost 1,800 a year. Those rates have remained relatively steady over the years, but other drugs have seen more significant increases. In 2006, there were 57 prescriptions for anti-anxiety medications, compared with 461 in 2013. In that same time period, prescriptions for anti-depressants have more than doubled—going from 2,943 in 2006 to 6,413 in 2013. The prison, through spokeswoman Brooke Adams, says a change in psychiatrists "may have influenced prescriptions issued." Other factors she cites as potential explanations for the rise in prescriptions include an increase in the number of inmates with mental-health issues, offenders being treated for mental illness outside the prison prior to incarceration, and the growth in the prison population from just under 6,000 in 2005 to almost 7,000 in 2013. Adams says 16 percent of the prison population—roughly 7,000 inmates—have serious mental illnesses. That's more than 1,100 inmates, overseen by approximately 40 clinical staff members. But Olympus, the mental-health unit generally reserved for "severe, persistent mentally ill inmates" has only 168 beds and currently houses 143 inmates, Adams says. Mental health's budget is "a large portion," Adams says, of the Clinical Services budget, which is roughly $31 million, of which $1.9 million is for "mental illness-related and psychotropic drugs." These numbers go straight to the heart of what will be one of the biggest issues on the Hill during the 2015 legislative session—a bold effort to revamp the prison and its programming as part of the Legislature's plans to relocate the state prison, which currently sits in Draper. The Pew Charitable Trust, in collaboration with the Utah Commission on Criminal & Juvenile Justice, recently told lawmakers that reforms could help contain nearly 100 percent of the costs of future prison growth, shaving off over half the cost of the $1 billion price tag associated with relocating the prison. 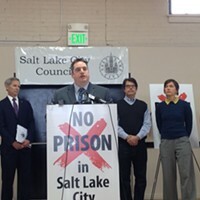 The Legislature's desire to relocate the prison presents a unique opportunity to make a once-in-a-lifetime investment in criminal-justice reform—dollars not just for a new prison, but for a new system, one that could build a network of credible community-treatment resources to perhaps keep future Ryan Allisons from winding up as grim statistics. Passing this legislation will be an uphill battle in the 2015 Legislature, but a coalition of advocates, nonprofits and agencies—especially the Department of Corrections—are optimistic that now is the time to pass these reforms. Due to the ongoing investigation into Allison's death, the prison can't comment on his history at corrections. But public defender Heather Chesnut, who represented Allison shortly before his death, calls him "a prime example of the lack of mental-health facilities we have in our system. He was at the prison because we didn't have anywhere to put someone like him." Rep. Eric Hutchings, R-Kearns, has been on the appropriations committee tasked with funding corrections programs for the past 13 years and has chaired the committee for the past six. His committee has always been the redheaded stepchild when it comes to funding priorities—until now. Hutchings says the nearly $1 billion "sticker shock" associated with moving the prison has already set in, so now is the time to finally mobilize an added investment to rework the system from top to bottom. "We're not talking about just the buildings only; we're talking about the entire system," Hutchings says. "Everything outside the fence and everything inside the fence." 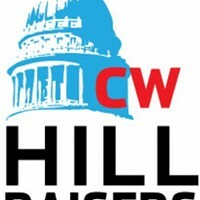 Hutchings will be sponsoring legislation in the 2015 session bringing forward reforms developed by the Utah Commission on Criminal & Juvenile Justice and the Pew Charitable Trust that will be crucial in containing future prison growth. Community-treatment programs could offer a variety of services: group homes that segregate offenders by the severity of their illnesses, or programs tailored to different demographics. The importance of community treatment is providing an environment where therapy and medication can offer a path to normalcy—instead of a setting where pills are paired with solitary confinement and the harsh existence of trying to find mental wellness while behind bars. But if that means investing tens of millions into community treatment resources for individuals with substance-abuse disorders and mental illnesses, Hutchings says, it has to be done right, with treatment centers following evidence-based standards. In the case of community treatment, the bill's reforms would call for standardized certification for treatment centers looking for funding and evidence-based results—without which he doubts the Legislature would fund community programs. 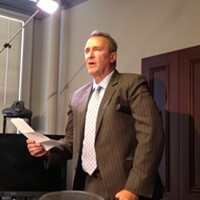 "If we don't come up with good numbers, this whole thing just dries up and disappears," Hutchings says. The other political barrier is convincing legislators that these reforms aren't about going soft on criminals but about reconsidering who really is a public-safety threat in our criminal justice system. "There's definitely [cases] for having very thick walls and very tough bars on it, but there's also an awful lot of people that just screw up," Hutchings says. "They're just like 'Help me, I'm not a bad guy, I just blew it.' And there are some people, quite frankly, especially with mental-health issues, that it's not even a choice for them." Other states are already seeing positive results for the mentally ill and for taxpayers by funding more community resources. Since 2007, Colorado's legislature has provided special criminal-justice funding to its counties for community-based services for juveniles and adults with mental illnesses. In fiscal year 2013-2014, the majority of Colorado's community treatment centers reported improvements in wellness of 1,387 clients served. Taxpayers saw relief, too: That year, $3.2 million of funding for community resources translated into over $19 million in savings for keeping these clients from being treated in prison, jails and community correctional centers. The program's administrator, Jagruti Shah, says this community-based intervention makes sense not just in Colorado, but nationwide. "Are we going to continue to fund more jails or prisons or expansions, or are we going to try and keep these clients out, and offer them services in less restrictive areas where it's cheaper to do these services?" Shah says.